Over 30 years in the auto racing industry, Complete Machine Shop, Superflow Dyno Testing, Cylinder Head Flow Bench, Computerized Fuel System Flow Bench. All Aluminum, New Generation Competition or Sportsman Blocks. Gas, Alcohol or Nitro. Introducing Our New, Semi-Water Jacket Blocks for Ford and 4.900 GM Heads. 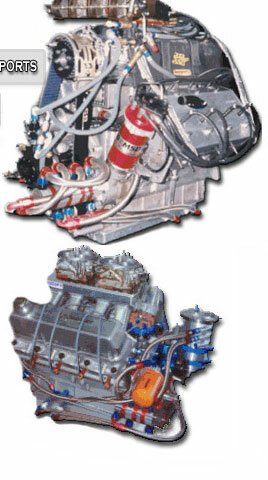 Also Offering Shelby 427 Blocks & Cylinder Heads. CNC ported/polished aluminum HEMI Cylinder Heads. Choose from 3 models: Street Mod, Super Mod, and Pro Mod. 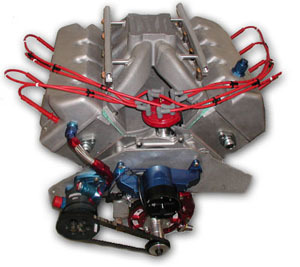 New Generation Cylinder Heads and Manifold Kits. Sportsman Manifold, Blower Manifold, Cylinder Heads. Street, Super & Pro Mod. Also featuring Crankshafts for 351-429 Cu. In. Ford - Hemi - Wedge Blown and Aspirated Engines. 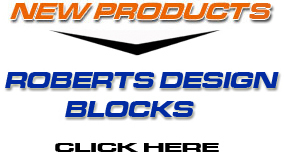 View our complete line of Boss Blocks and Components, competitively priced to sell.